No more angry neighbours when you are trying to practise! With our Real Touch Silencer System, pianists can easily exercise their fingers, even during the night time. The instrument can easily be switched into “silent mode”, and the sound can be heard through the headphones. The silencer can be built into any of our upright pianos, as well as into models made by other piano manufacturers. However, sometimes for extremely small pianos a different solution may be necessary if there is insufficient space to install a silencer. 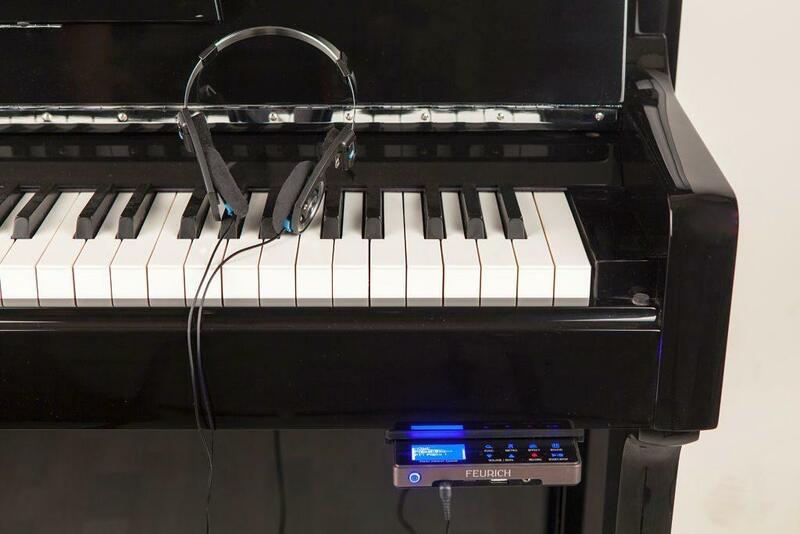 The Standard System with a stop rail compatible with almost any brand of grand piano. The let-off is set up at around 6-8 mm distance from the strings. 1. The touch and the regulation of the piano is not affected in acoustic mode. The let-off remains optimal at around 1-2 mm. 2. Reduced mechanical noise in silent mode. Most grand piano silencers create quite a substantial noise when the hammer shanks hit the stop rail. In our special stopping system, the hammer jacks are deactivated in silent mode. Thanks to this, our system is much quieter than conventional systems. The touch in silent mode is slightly different––a slightly lighter key weight and no pressure point when striking the key.